Almost exactly a month ago, Naxos released the sixth and final installment in its project to record the complete symphonies of Heitor Villa-Lobos. All performances are by the São Paulo Symphony Orchestra conducted by the Brazilian Isaac Karabtchevsky. The project has an end-is-my-beginning conclusion, since the final release consists of the first two symphonies. The first symphony was completed in 1916, which puts it in the same time frame as the symphonic poem “Uirapurú,” which served as an “overture” for the volume that includes the final (twelfth) symphony. Villa-Lobos’ Wikipedia page cites this as a time of “a crisis of identity, as to whether European or Brazilian music would dominate his style.” What is interesting, however, is that much of the European influence, according to the booklet notes by Fábio Zanon (translated into English by Lisa Shaw), came from Vincent d’Indy, not personally but through his 1912 publication, Cours de Composition Musicale. This was based on his experiences in teaching composition at the Conservatoire de Paris; and, somewhat ironically, he was more sympathetic to German traditions than to what French composers of his day were doing. 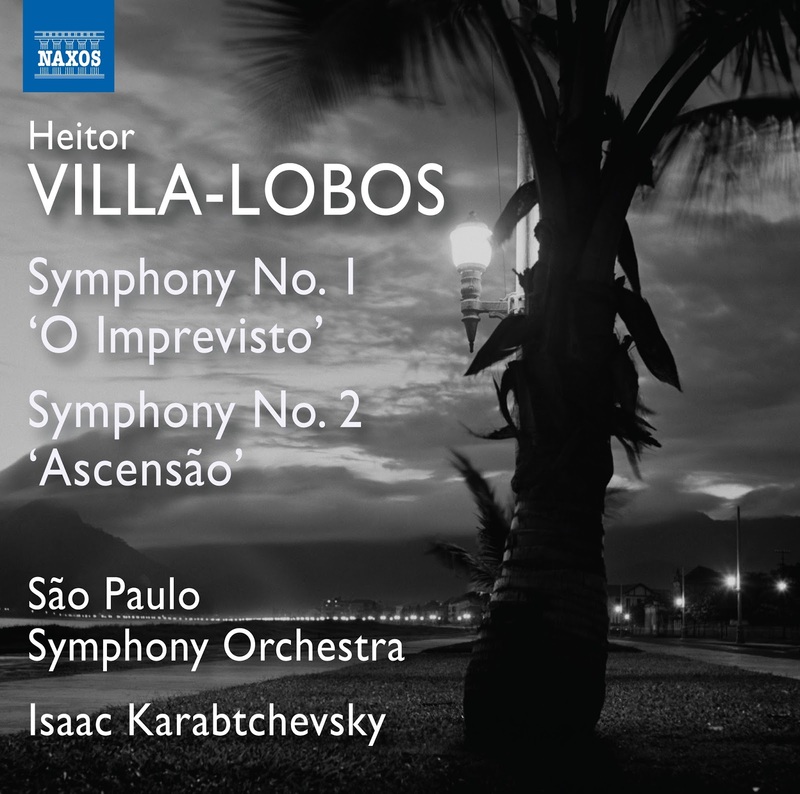 Villa-Lobos gave his first symphony the title “O Imprevisto” (the unforeseen). One has some sense of d’Indy’s Germanic bias in the music’s rhetoric, but one also detects foreshadowing of the sorts of sonorities that would later provide a spinal cord for the nine Bachianas Brasileiras compositions that Villa-Lobos would write between 1930 and 1945. Thus, in many respects, the first symphony serves somewhat like a compass that orients the listener to the directions that Villa-Lobos was just beginning to follow. The same may be said of the second symphony, which was composed in 1917 but not given its first performance until 1944. This one also has a title, “Ascensão” (ascension). This, too, seems to have many of the Janus-faced qualities of the first symphony, perhaps with a noticeable bias towards Europe in favor over Brazil. 1917 was the year in which Sergei Diaghilev brought his Ballets Russes on tour in Brazil. Diaghilev’s tastes in modernist composers seems to have had a profound effect on Villa-Lobos. This suggests that he had completed his second symphony before Diaghilev’s visit and, perhaps, that the impact of the composers whose music he experienced as a result of that visit may have been a reason why the performance of that symphony was put off for so long. One can appreciate why Karabtchevsky held off on recording these two symphonies until listeners had come to know the rest of them. After all, Villa-Lobos himself had held off on bringing that second symphony to performance. As a result, this final album satisfies the goal of completeness; but its historical significance is likely to surpass its aesthetic appeal.